Fayetteville has earned the nicknames of Fatalville and Fayettenam. Unusual and not-sounusual features of the town include gross income inequalities, an extraordinarily high incidence of venereal disease, miles and miles of strip malls, and a history of racial violence. Through interviews with residents and historical research, Catherine Lutz immerses herself in the life of the town to discover how it has supported the military for over a century. 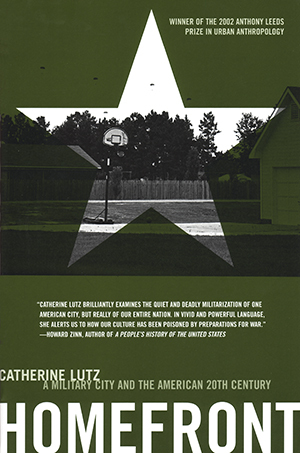 From secret training operations that use civilians as mock enemies and allies to the satellite economy of the town, Lutz’s history of Fayetteville reveals the burdens that military preparedness creates for all of us.